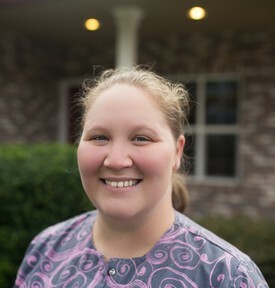 Rachel enjoys camping, hiking, scrapbooking and spending time with her son and pets (2 dogs and 1 cat). 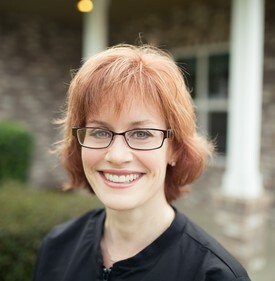 She has worked in dentistry since 1980 and became an Expanded Functions Dental Assistant in 1983. Rachel supports both the front office and chairside and has worked for Dr. Slack since 2003. Allie is married and has a 5 year old named Olivia and Harper is 2! She graduated from LBCC in 2006 as an Expanded Functions Dental Assistant. She has worked for Dr. Slack for over 10 years. Allie enjoys spending time with her family, doing crafts, and watching sports. Katie is married and has 4 children, Finley, Cohen, Emmet and Harlow. She enjoys camping and spending time at the lake with family and vacationing any chance they get. Born and raised in Lebanon, she attended East Linn and went to hygiene school in Portland. She's been practicing hygiene for 10 years both in Perio and General Dentistry. She is also a Massage Therapist and enjoys working as a loader operator for her dad at Harrington Rock Products. Katie joined the practice in 2014. Melissa is married and has 3 daughters, Autumn, Meadux and Lilly. She enjoys quilting, gardening, and especially going to Disneyland with her family. 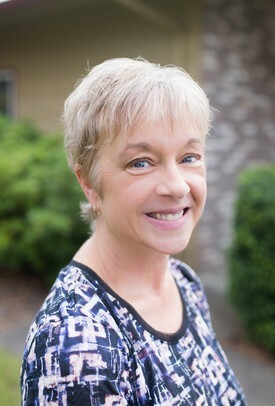 She has been practicing hygiene for 17 years and attended Portland Community College. 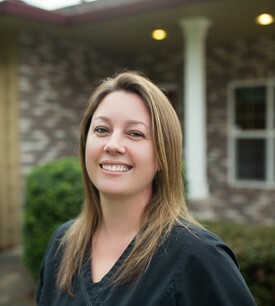 She enjoys helping her patients maintain a healthy mouth. Melissa joined the practice in 2014.